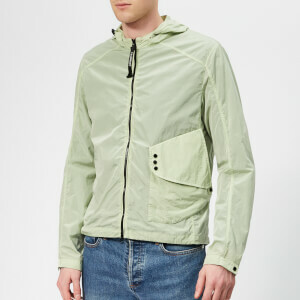 Beige cotton twill blouson from JW Anderson with a contrasting navy and white ribbed bomber collar. The jacket has a trench coat-inspired design with buttoned gun flaps on the chest and buttoned shoulder epaulettes. 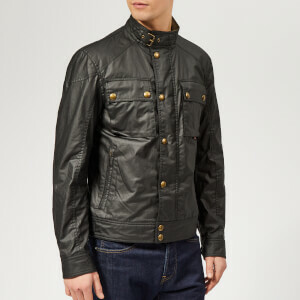 Fastened with a concealed central zip, the jacket is detailed with buttoned cuffs, side pockets and an elasticated hem. 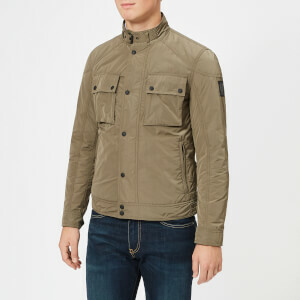 An internal welt pocket and lined interior add the finishing touches to the jacket. Main Fabric: 100% Cotton. Lining 1: 70% Cotton, 30% Polyamide. Lining 2: 100% Viscose. Trim: 47% Wool, 47% Acrylic, 5% Polyamide, 1% Elastane. Main Fabric: 100% Cotton. Lining 1: 70% Cotton, 30% Polyamide. Lining 2: 100% Viscose.